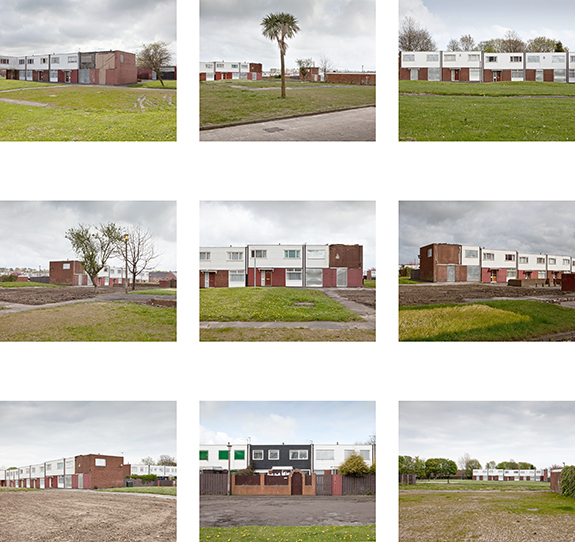 The Space Between explores the different phases of social housing and regeneration via compulsory purchase order sites. Homes were demolished to make way for a new wave of regeneration to come. The collapse of the market has left these areas as liminal spaces, spaces between. 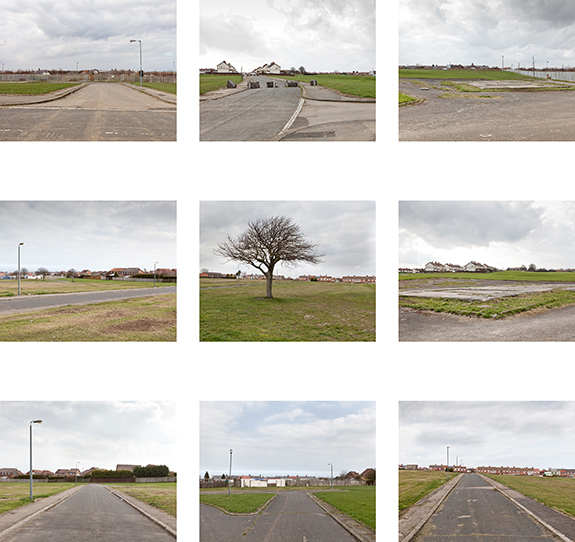 I have photographed the remnants and marks left on the land where homes previously stood highlighting the once vital infrastructure that now stand as odd objects separated from function. Social housing was built to house the working class, creating thriving communities constructed around an industrial heart. During the early Thatcher years those community members were given an opportunity to own their homes through a statutory right to buy, with discounts beyond their wildest dreams. 1.6 million council properties became private homes. Simultaneously the industries began to close down, splintering the communities, turning neighbourhoods into “council estates” dotted with privately owned homes. The estates became rife with unemployment and “antisocial behaviour,” leaving the homeowners to watch the slow decline of the community. The economic prosperity of the new millennium found these estates out-dated and over-run with social ills yet positioned on prime real estate. They were eyed for higher value regeneration, the council tenants were rehoused and the homeowners given CPOs. Not all home owners, many now retired, were willing to sell their homes for the dramatically reduced rates offered. The demolition of the vacated council homes began around them. The collapse of the market stalled this process leaving many proud homeowners with their spruced-up houses isolated and often attached to derelict and dilapidated shells. The issues that led to the breakdown of communities have not been addressed: unemployment continues to rise and the “antisocial” have been moved on to other estates. The future of social housing is uncertain, as is the future of these spaces; the spaces between.